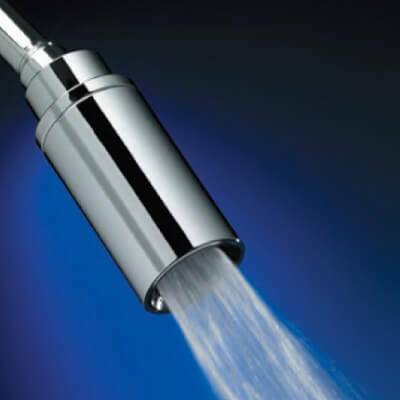 The Caroma High-Efficiency Flow Showerhead, with a nominal flow rate of 1.5 gpm (gallons per minute) or 5.7 liters per minute at 80 psi, will save up to ten gallons more water than the standard 2.5 gpm showerhead (based upon a ten minute shower)! 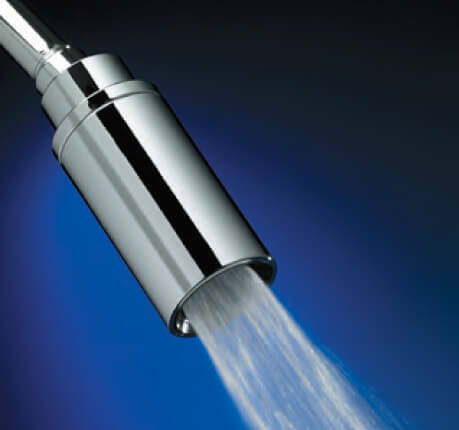 Caroma Flow is WaterSense approved, being certified by independent laboratory testing for water-efficiency and shower performance. 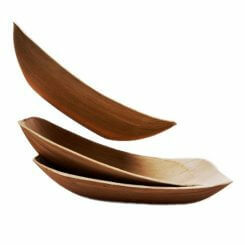 The Caroma Flow saves money while preserving the world’s most valuable resource–water. Incorporates a unique easy-slide spray adjustment for wide coverage bathing spray to a concentrated rinse fl ow with heavier water. 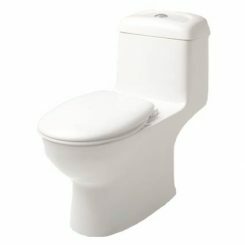 Nominal fl ow rate of l.5gpm/5.7L at 80 psi. 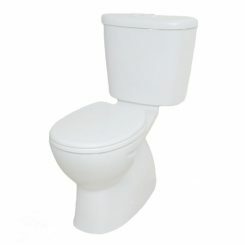 Easy to install in both retrofit and new construction (fits on standard shower arm). 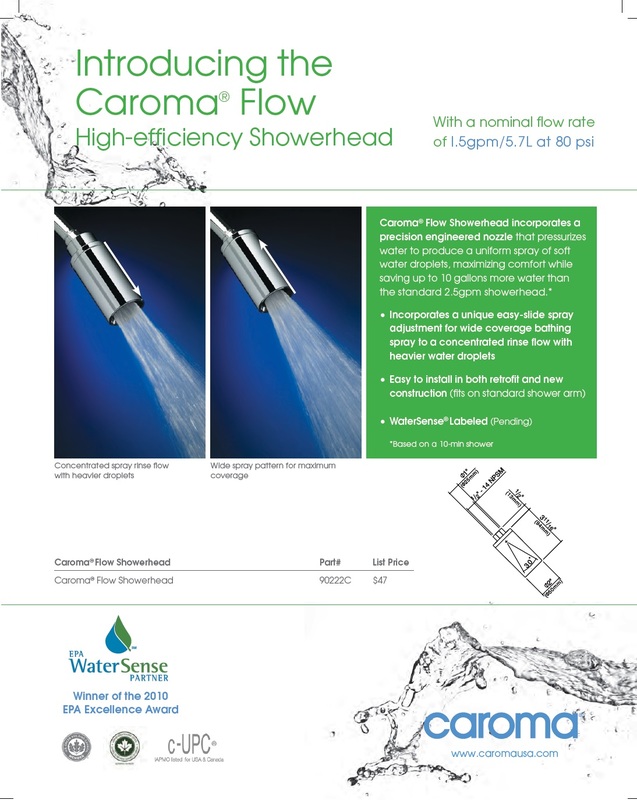 Click Here for a Video of the Caroma High-Efficiency Flow Showerhead.